'Whole Person Care' is shadow health secretary Andy Burnham’s ‘big idea’. He's tasked Sir John Oldham with chairing a ‘Commission on Whole Person Care’, due to report to the shadow cabinet early in the New Year. It will make policy recommendations on how the party’s aim of integrating heath and social care can be achieved. In explaining what ‘Whole Person Care’ actually means, Burnham’s message so far has somewhat been ‘all things to all men’. One is left scrambling around for clues mainly from the think tanks in Labour’s orbit. There is a flurry of recent reports from these think tanks, all vying for Oldham’s attention. The rose garden might already be growing some weeds. This week, the IPPR think tank took a bite from the cherry with its report, “Towards whole person care”. The report passed largely unnoticed by the media, who saw the report as mostly about technology (with the report claiming “The US systems are ahead of the NHS in their use of technology.”). The report also talks of ‘benefits from developing systems that allow patients and carers to access their records’. As if on cue, Burnham in the Guardian on 1 December 2013 was reported as wishing NHS patients to have “the right to see their records”. “Integrating health and social care personal budgets removes the organisational barriers completely, and allows people to arrange the care they want to meet their needs, regardless of where it comes from or who is paying for it. Personal budgets can also help to break down barriers between those who receive state-funded social care and those who self-fund, ensuring that everyone receives the support they need to arrange the right care for them. One should be worried about being sold something as “control”, if you end up running out of money for one bit of care when you’ve overspent it in another bit of care. One should be worried that the “principle of universality” is being chipped away with the creep of “means testing” from another part of the system. One should be worried about money from the NHS being used to subsidise the infrastructure for private providers to milk the system with a provision for ‘top up payments’. The question is therefore how genuinely attractive these proposals are to Labour. Will they pause to ask - whither universal, taxpayer funded healthcare - before throwing the NHS’s lot in with means-tested social care provision and the extension of personal budgets? Or will they push social care integration regardless - or perhaps even throw the entire benefits system into the mix? Liam Byrne MP, shortly before he left the Shadow Cabinet, announced that Labour would be looking at how Labour take the radical ideas of “whole person care” to bring services and back to work benefits together to support disabled people in a new way. And Liam Byrne MP, it seems, was not a lone voice. The commercialisation of care, under the guise of control and budgets, is of course an anethema to genuine principles of professional person-centred care. And merging a universal system which has lots of highly personal data (NHS) with one that is heavily conditional (benefits) has all kinds of risks. In the long run it could make it still easier to restrict access to healthcare on the basis of economic status or behaviour. Or to deny benefits to someone on the basis of personal information on a whole person care record. That would be political dynamite. And it might happen. Already the Department for Work and Pensions has been trying - unsuccessfully so far - to get its hands on people’s confidential medical data on drug and alcohol use and treatment. Only for research purposes, it tells us. 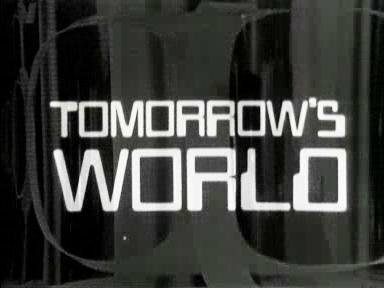 Even the government doesn’t get its technological act together enough to deliver this ‘tomorrow’s world’ policy, for some ‘whole-person care’ will take on an uncanny resemblance to the past: Thatcher’s favourite policy, vouchers. As the Tories struggle to 'detoxify' their brand, will Labour cling to the vestiges of neoliberalism? The outcome of the Oldham Commission (and possible future Green Paper) will provide further clues as to whether whole-person care is more than you budgeted for.